Even an old bent out of shape aluminum canoe is a great vessel in which to explore the water ways around you. Early morning solo paddles are such a reflective time. Hearing the sounds of the wild all around you. 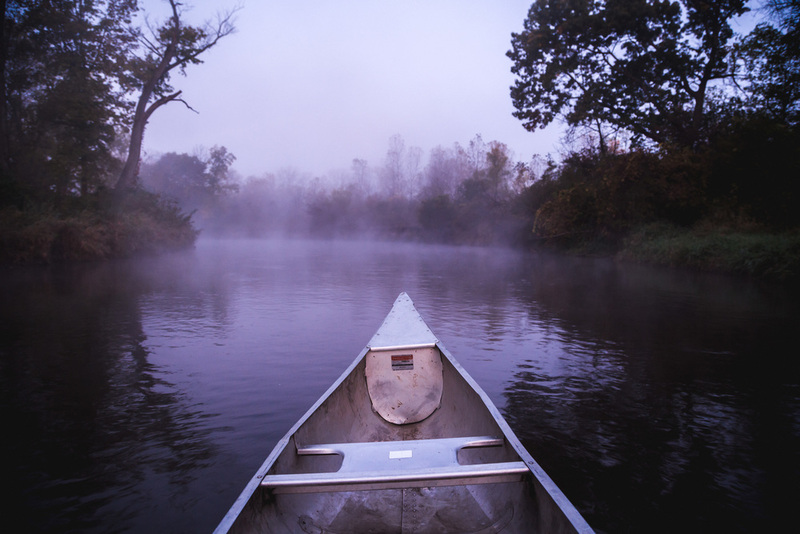 The quite and peaceful stroke of the paddle in the water moving you along the river to see what awaits you around each bend. Sneaking up on the herons and eagles as they hunt for their morning meal. The closer I get to the family of river otters, the more my heart starts the race, but the quieter I become as to not disturb the cheerful family out and about. It is mornings like these that when you pour yourself a cup of coffee will breathing in the fresh clean air, breaking through the fog and steam rising from the river, that make life so precious. Each day is a gift. Do not waste a single one of them.